Sorry if I couldn't help you more. I'm really with very little free time these days. Thanks!! All the patched you did in the past for this game... That's was amazing!! After Salamander, I'lld like to do the same with Gradius 1, Nemesis 3, Parodius... I'll try to include your super "Turbo FIX" routine... I expect that I could do that. I hope that you don't mind... In my profile, you can find my email... It would be great if you help me with that part!! Thanks for all Master!! One tip: maybe it isn't advisable to include the entire =you know which ROM= in the patch. The best approach would be to require the user to concatenate both ROMs and then apply your patch over it. I dreamed it, Victor did it. Victor, Congraturation! you are a great star fighter. Nice. 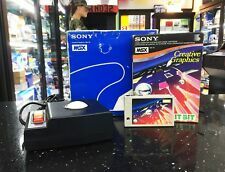 The voice are pcm samples or is it voice synthesis https://www.msx.org/forum/msx-talk/development/voice-synthes... ? Double Thumbs Up for Victor. @Victor: great. there is nothing to add. A Question... how does behave the scrolling on a normal msx2? Shaking borders?